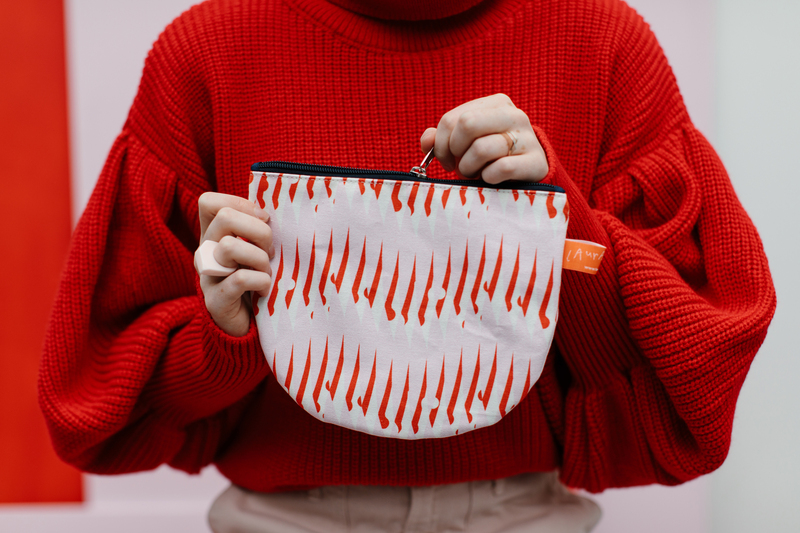 Laura Spring’s new 'Peas' and ‘Milkky’ prints are part of the designer’s 'The Good Life' collection, which is inspired by her recent research trip to Finland and combines bold shapes and eye-popping colours. 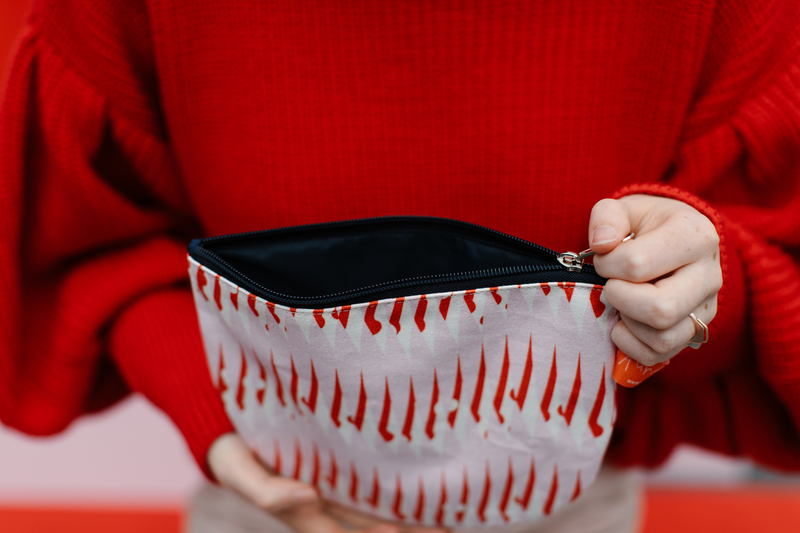 These cheerful, modern pouches offer just that little bit of extra room making them an ideal choice for make up-lovers. 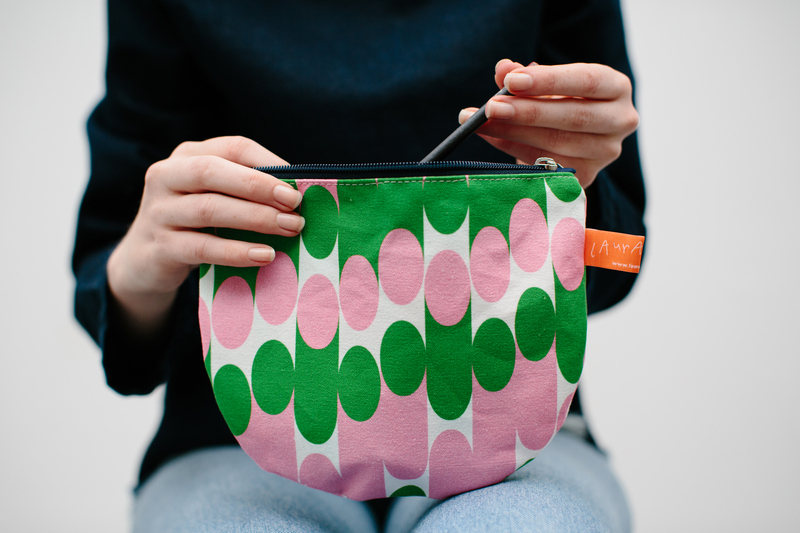 A fun and playful burst of colour and pattern with a practical waterproof lining.